That’s a big claim, but we are the website to visit for everything you need to know about bingo after all. You trust WhichBingo to tell you what’s what in the world of online bingo and it starts right here with the basics! Whether you have never played bingo before, or whether you are an old hand at the game, we can, hopefully, pass on some useful information. We’ll tell you about 90-ball bingo, 80-ball bingo, 75-ball bingo, 50-ball bingo and 30-ball bingo in some detail and lots of other bingo variants too. Discover how many numbers are on the bingo cards for each type of bingo and how many times you can win in each game. Lines, patterns, rows and columns – all provide ways to win, but not in every type of game. Check out our guide and you’ll soon be an expert too. A collection of typical bingo features and themes, including anything from 30 ball bingo to 90 ball bingo, to bingo with just pictures instead of numbers or playing cards instead of actual bingo tickets. These games come in all shapes and sizes as operators try to innovate and improve on this traditional past time. Included in our selection are the popular Cash Cubes, Slingo, Rainbow Riches Bingo, Cinco and many more. Gamesys continues to innovate with its selection of unique bingo games. The newest addition to the family released in October 2018 is Crystal Maze Bingo, based on the popular TV show hosted in turn by Richard O’Brien, Edward Tudor-Pole and Richard Ayoade. Crystal Maze Bingo is a 90 ball bingo game with a bonus feature at the end if you purchase 6 tickets or more in the game and a 38 ball progressive jackpot. There are prizes for one line, two lines and the full house. Once the full house has been called you enter the Crystal Dome to play the bonus game. You have to tap/click to collect gold tokens, avoiding silver tokens. All silver tokens clicked means a gold token is deducted from your collection. The more gold tokens you and the community as a whole collect, the more bonus tickets you will be awarded to the next game. The background changes with each game based on the zones of the original gameshow. You will play in either the Aztec, Industrial, Medieval or Futuristic zones, with the background music also different for each zone. The graphics are excellent – they are good on desktop, but if anything even better on mobile. This is a well thought out game with a great theme and a great bonus game. Enjoy Crystal Maze Bingo and its unique Crystal Dome bonus round at Jackpotjoy and Heart Bingo. Slingo Rainbow Riches is the popular variant from Slingo that marries the fun and excitement of Slingo with Rainbow Riches. The game picked up the prestigious ‘Innovation of the Year’ award at the 2018 WhichBingo Awards. Unique bonus rounds are awarded for completing multiple lines (or slingos) on your card. All of which are themed to Rainbow Riches. Flash Fives is the name of the 888 version of the tombola Cinco card bingo. It was first launched at their flagship brand 888Ladies in April 2016. Like other versions, tickets consist of five cards and the aim is to cover all five cards to win the prize. Coconut Island is 50-ball developed by Playtech and running exclusively at Gala, Ladbrokes and Coral Bingo. The theme is a desert island with coconuts falling from a palm tree and cracking open as they hit the ground to reveal the number called. Some of the best bingo sites around are still based on 90 ball bingo, most with some kind of progressive jackpot, but many more with an added twist and often more ways to win. Often these will also be Community jackpots, meaning that the winner gets half the pot and every other player shares the other half – win/win for the players there so that puts 90 ball near the top of the popularity charts. Tipping Point Bingo was introduced to Sky Bingo in February 2017 and is loosely based on the television quiz show hosted by Ben Shephard on ITV. Your tickets look like those you win in the coin pusher machine at the local arcade. If you have watched the quiz show Tipping Point, you will know that it is a giant coin pusher machine that determines winning amounts for the contestants. The X-Factor Bingo. Do you have it? Another themes on the Virtue Fusion / Playtech platform and this time it’s one of the most popular reality shows on TV, X factor. The base is traditional 90 ball, but what makes X Factor Bingo different is the chance to win the Judges Jackpot. To win the Judges Jackpot prize you must first have won the full house. If the number that you win on is on the Judges Jackpot ticket and has not been marked off, the Any Number prize is yours. However, if you complete the one line, two lines or the full house for the Judges Jackpot with the number you called bingo on, the house prize is yours and it’s substantially higher. Pulse was launched at tombola in July 2014 but doesn’t have bingo tickets in the way that you would expect. Instead you have twelve bubbles floating around the screen. If you prefer the bubbles to be static in three columns of four, simply click the room name at the bottom of the screen. The bingo numbers are called in the traditional way, and winning is as you would expect with all bubbles being popped to scoop the house prize on offer. The house prize is determined in the normal way, the number of tickets sold and at what prices. The Chase Bingo was launched in October 2016 and like many themes at Gala Bingo, its has traditional 90 ball at its core. All players have the chance of winning the one line, two lines and full house but in addition, there are extra prizes like The Final Chase progressive. A Chaser is chosen at random from five that are on the TV quiz show and then you have to watch the answer board – Player vs Chaser. If you get home and aren’t caught, the money is yours but if you lose and the Chaser wins, you will receive a consolation prize. Who Wants To Be A Millionaire Bingo has been around for quite some time now and is, at first glance, its standard 90-ball bingo.What makes it stand out from the crowd is that it offers no less than 12 jackpots. They can be won by calling within the number thresholds that are indicated on the screen. As well as the jackpots that can be won by calling in a specific amount of numbers,it boasts your normal one line, two lines and full house prizes that are available on all 90 ball. Swedish Bingo. Its five-line or is it? Why is Swedish Bingo called this and not five-line bingo when they are exactly the same? To be completely honest we do not know. Both five line and Swedish Bingo are the same, as are the European alternative to the traditional US 75 ball. What Swedish Bingo offers is the best of both worlds, a cross between 75 ball and 90 ball with more chances of winning and as players, we love it. This is probably one of the lesser-known themes available on the Virtue Fusion / Playtech software. Snakes and ladders has three prizes, the one line, two lines and the full house and the prizes offered in the Feature . The top prize on the latter is £500 and awarded if you manage to reach the top of the Snakes and Ladders board. Immortal Romance is a slot title from Microgaming, a popular slot with interesting bonus rounds and great graphics. It’s based on 90 ball bingo, and winning is achieved in the same way as your standard 90 ball play, by marking off numbers to make the one line, two lines and full house. As you play, you collect Medallions to fill up your Power Up bar and when you have a total of 20 notches, you get the chance to win one of the four extra jackpots on offer. The wheel will spin to determine the ‘hero’ you are playing and this determines whether you land the Mini, Minor, Major or Mega Jackpot. When you play Royal 5’s bingo you are not given a standard bingo ticket but instead, five cards. Instead of bingo balls, card deck values are called and the aim is to mark off all five cards in your hand to win a prize. The number of tickets sold and the price of the cards determine the actual prize on offer. The clue is in the name Roll On bingo, it means that once the full house has been won, additional numbers will be called and subsequently create more winners. There can be as many as 20 additional numbers called. Roll On bingo increases the chance of winning for all players and you will be notified before tickets sales are closed that the next time to play will include these additional prizes. In Rollercoaster Bingo you’re not playing with traditional bingo tickets but instead, carriages with five seats in that are all named. The idea is to fill your Rollercoaster carriage to win. The rollercoaster spins around the loop and releases one of the balls at the top. If you have that named ball, they take a seat in the appropriate carriage. There is just one standard house prize for Rollercoaster but two jackpots. The largest of these is won if you call in five balls drops, the lower with six. Lucky Numbers Bingo is a variant of 90 ball bingo that offers extra prizes. At the start you are asked to choose three lucky numbers between 1 and 90. Lucky Numbers Bingo also has the traditional one line, two lines and full house prizes. If a Lucky Numbers Bingo jackpot is released by players matching the bonus numbers, the winnings are shared amongst all those who have match numbers to release the jackpot. Pirates was a new addition to the portfolio at tombola in July 2012. Although more like Cinco, it has great playability. Your bingo tickets consist of several pirate themed icons on a treasure map. There are three columns of icons, each five long. There are various pirates, a parrot, treasure, guns and more. A card is turned to reveal one of the symbols and you have to mark them off if you have them on any of your cards. You play for the one line and the full house, both prizes that are determined by ticket prices and sales. Emoji Bingo — Smiley, wink, shock, joy! Emoji Bingo is a variant of 50-ball bingo. There are no standard bingo tickets, just 10 different Emoji’s floating around the screen. Instead of numbers being called, Emoji’s are and as you match them on the screen, then disappear. You are given the option of five different sets of Emoji’s to choose from, and these include popular ones like the smiley face, a thumbs up, a love heart and even a poo! There are also festive sets of Emoji’s available at Christmas time. Emmerdale Bingo is exclusive to Gala Bingo and followed a couple of years after the other soap themed 90 ball, Coronation Bingo. Like other versions of 90-ball bingo, you have the one line, two lines and full house to play for. Above your tickets you can see a white Range Rover and the number of miles to certain landmarks in and around Emmerdale. Above the Range Rover is a number; this number is the miles that it has already travelled. When every full house is called, the number that it is called on is the number of miles that the car will drive. By far the most common variation of bingo in the UK. Every UK online bingo site features a main room that is 90-ball bingo and these rooms often have the biggest prizes. 90-ball bingo is also the game that is played in the high street bingo halls – and if you have ever visited a bingo hall with a complete bingo beginner you will have seen that the game is not as straightforward as regular players think. 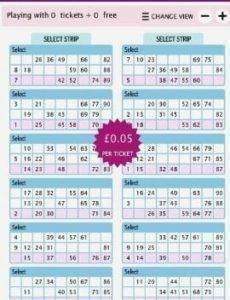 Traditionally a ‘strip’ of bingo tickets is made up of 6 tickets, each ticket bearing 15 numbers between 1 – 90. In each strip of 6 tickets, each number will definitely appear once and once only. That is important to know in a bingo hall, but less so when playing online bingo as the marking is automated and the cards usually move around so your best tickets are always at the top and in view. Each ticket is a grid of 9 columns and 3 lines. There are 5 numbers on each line – making the 15 in all on each ticket (6 tickets x 15 numbers each = 90). The columns are for set blocks of numbers; 1-9, 10-19, 20-29, 30-39, 40-49, 50-59, 60-69, 70-79, 80-90. There are up to 3 chances to win in every game; 1 line, 2 lines and the full house. The Random Number Generator (RNG) produces the numbers one by one and the first person to complete a line, 2 lines or the full house wins. Pattern Bingo – this is very popular in the US, but more and more UK players are falling in love with the format. Different sites operate the game in different ways. The traditional way is just to pay for completing whatever pattern in given out at the beginning of the game. These are patterns that can be made up from the squares on the ticket when they are shaded by being called out. These games are played on individual tickets containing 25 squares and 24 numbers – the centre square is always free. The ticket is a 5 row/5 column set up. The pattern can be anything from a letter to a number or a cross or a lollipop – any shape you can make from squares. The columns are numbered 1 -15, 16 – 30, 31 – 45, 46 – 60 and 61 – 75. Five Line (also known as Swedish Bingo) – this is also a form of 75 ball bingo that is growing in popularity as it offers so many chances to win. The same 5 row/5 column lay out as pattern bingo, but the centre square also contains a number that needs to be called to complete a line. The first line win can often be either vertical or horizontal, but after that they tend to be horizontal lines only. This does tend to differ if you are playing on any Scandinavian based sites where they tend to play for the columns, more like 80 ball bingo. Many people will be familiar with this kind of bingo from the seaside amusement arcades as it is the style of bingo also often known as ‘prize bingo’. There are 4 rows and 4 columns, making 16 numbers in all – and sometimes each column is a particular colour, so the call is ‘red 14’ or ‘white 66’. The columns are numbered 1 -20, 21-40, 41- 60 and 61 – 80. There can be lots of ways to win ranging from 4 corner numbers, to a diagonal line across the board, a full column or a full line and then the full house. This is a more recent bingo variant to have come about and it can be played in different ways at different sites. The simplest format is where there are a strip of 5 tickets, each with 10 numbers from 1 – 50. Each number only appears once. Each ticket is made up of 2 lines of numbers with each column numbered 1 – 10, 11 – 20, 21 – 30, 31- 40 and 41 – 50. This can be quite a speedy game as it is a simple grid of 9 numbers in 3 x 3 square. The game is often played just for the full house. The columns are numbered 1 – 10, 11- 20 and 21 – 30. 90 ball bingo is the main style of bingo that gets all sorts of bells and whistles added to it to make the game more interesting and to add even more prize options. Now this game is available in both 90 ball and 75 ball versions. The game plays out in the normal manner, but certain balls have been allocated ‘box numbers’. As they are called an associated monetary value is removed from the prize board. The full house winner gets to choose whether to open the box that was set aside at the beginning taking into account the prizes they can see are left available, or to take the Banker’s Offer. Price of play can vary from 10p a ticket to 50p a ticket, but there are often a lot of players so the prize pots tend to be very good. These games are available at most Playtech powered sites such as Ladbrokes Bingo, William Hill Bingo and Take a Break Bingo. A 90 ball game found at Gala Bingo, Coral Bingo and Ladbrokes Bingo only due to current licensing arrangements. The extra feature here is an additional 90 ball ticket that everyone can see and stays in place until it is full. This is the Golden Cobbles ticket and is worth additional prizes. Each time a full house is called and the winning number is one of the 15 on the Golden Cobbles ticket it turns gold and the winner gets an additional prize, ranging from £5 for any number, to £500 for completing the last number and creating the full house. This is a 75 ball bingo game that can be found at most Dragonfish powered bingo sites. The games are either pattern or coverall games (where you have to get all 24 numbers to win) and the difference here is that the prize is not fixed at the outset of the game. Instead, the prizes ‘bounces’ around from £10 to £30 and everything in between every few numbers called. Now, prizes in bingo games are either made up of a percentage of the stakes made by players in each game or a guaranteed jackpot, which is just what it says on the tin and is a guaranteed minimum even if there are only a few players. A progressive jackpot often sits alongside the main game prize as an added incentive to play as these can be thousands of pounds. The trick is that you have to call the full house within a limited number of calls. The number of calls will depend on the game being played. So, for instance, in a 90 ball bingo game the ball calls to win a progressive can range from 29 to 50, with 40 being the most common. In a 75 ball bingo coverall game the standard would be around 49 calls, but for bigger prizes can be anything from 36 numbers. To make up a progressive jackpot, a percentage of player stakes in each game are kept in a different pot which keeps growing in this way until it is won. Chat games are not actual bingo games, but games within the bingo rooms. A chat host is often present in a bingo room to keep things friendly and chatty and to answer any queries. Every now and again they will have some bonus funds to give away and to do this they run a chat game. These can vary from being general knowledge questions, to betting on which number ball will be called, but the important thing is that players love them as it gives them the chance to win something extra and adds extra interest to the chat rooms. At busy bingo sites you will find a complete list of all the bingo games to be played, the times, the stakes and the prizes. Often you will be able to pre-purchase tickets from the schedule list too. Sometimes a bingo schedule is made available for the bigger promotional games with big prizes so everyone knows when the game will take place and to give them a chance to purchase plenty of tickets over a period of time. Alternatively, if a schedule is available for a particular room all the time people, may be on the lookout for when a particular jackpot feature might be about to pop or when a progressive jackpot has got to bursting point. A schedule means that it is possible to pre-buy tickets even if you can’t stay on site and actively play in the room. Which bingo game is for me? The only way to find out the answer to that question is to have some fun trying them all. Some players love to chat, so the steady pace of a 90 ball game is perfect. 50 ball bingo can be exciting as a line can go very quickly and the whole thing can be over in just 21 numbers! 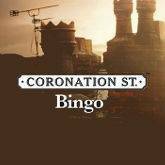 The 90 ball feature games like Deal or No Deal and Coronation Street Bingo are well worth exploring, as those additional features to add to the excitement. 80 ball bingo is a lot of fun and is growing in popularity all the time due to having so many ways to win. On another level, it might be all about the prizes on offer and what you can win. If this is the case you will be looking for the busiest rooms that ensure the biggest prize pots. The best advice is to find a bingo site that looks like it has plenty to offer and then go exploring. If you can find a bingo site that offers free bingo, then you are on to a winner. Most sites now require members to have made a deposit before being able to access free bingo rooms, but in the current climate of changing regulations and tax rules for gambling sites, we believe this is fair. Free bingo being available means that you can access a bingo room and claim tickets without having to part with any money or bonus funds. The prizes on offer will either be cash or bonus, but the games will play in the normal way – it’s just that they were free to play. Extra free bingo is often made available by a bingo site in the days following a deposit being made, or when a certain level of deposit has been reached. Invites are often issued to different free bingo rooms with different values of prizes depending on your loyalty level or how much you have spent. So free bingo is often being used as a loyalty reward and a ‘thank you’ from the site for continuing to play with them. 75 ball is a traditional style played in bingo halls in the USA but it’s equally as popular with players in the world of online bingo in the UK. What 75 ball afforded the operator was the chance to offer pattern and multi-part bingo and over the years we have seen more and more patterns introduced. To win, you have to cover all the numbers on your board to make the pattern you are playing, or in the case of multi-part bingo, the four corners, the one line and then the coverall. This version plays in exactly the same way as 75-ball deal or no deal but on 90 ball tickets. The only other difference is how the progressive jackpot is won because 31 numbers or less is required to land the big win. There is a Virtue Fusion / Playtech powered site called Deal or No Deal Bingo but you’ll also find two different versions of this system at many of the other sites powered by the software. Available from Playtech, this is 36 ball that moves fast. The numbers are within four interlinked cubes and you need to mark off 12 numbers to win completing all four cubes. You can choose your price to play – 10p, 50p, £1 or £2 and you can only play one ticket, so fair for all. You collect completed cubes separately and win a bingo bonus prize on reaching 50 cubes on any price point. Cinco is the inspiration behind many a card based bingo and it’s available at tombola. As time as gone on, more and more rooms have been added to the Cinco lobby and this can be attributed to its popularity amongst players. As well as the single house prize, Cinco boasts three other jackpots in each room. The value of these is determined by the price paid per ticket but they are awarded for a call in five cards, six cards and seven cards. Can you reach the pot of gold? Rainbow Riches is best known as a phenomenally successful slot, both as a physical slot machine and as an online video slot. This is a 40 ball version once again developed by the powerhouses at Playtech / Virtue Fusion. Being only 40 numbers rainbow riches bingo moves fast and there is not long to wait between each one – again something that appeals greatly to the younger bingo player who may be participating having been drawn into the it by it association with the slot Rainbow Riches slots. In each of these there are a total of six prizes; four line prizes and the coverall prize. The players who call the full house will then have triggered the Deal or No Deal feature. During the main play a number of Deal or No Deal boxes are shown above your tickets. As the numbers are called, if any correspond with a box, it is opened and the value revealed and removed. When the full house is called, the winner is offered a cash value by the banker and then they have to decide, deal or no deal. Cashline is the Mecca Bingo version 80 ball. Like other variants found at a selection of other sites, it plays on a 4 x 4 grid. Each time is different in so far as you can be playing for different patterns. You could be playing just for one line, and then the next for one, two, three columns and then for the coverall. Or it could be you play for corners, middle squares or lines. Bingo Vegas is the name that Costa Bingo has for Foxy Fives at Foxy Bingo and Flash Fives at sites like 888 Ladies and Wink Bingo but it’d played the same way. The design of Bingo Vegas differs slightly but you are presented with five sets of five cards. Instead of bingo numbers being called, its played using a standard 52 deck of cards. As cards are called, you have to place a chip on the corresponding card if it shows on your purchased tickets. Mark all five and you are a winner. March 2016 saw Burst Bingo explode into the world of mobile gaming but now its available on your desktop too. 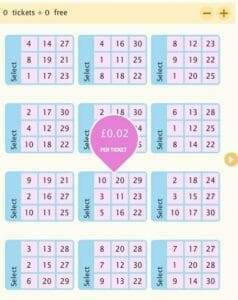 At the start of Burst Bingo you are required to choose ten numbers and this is done by moving left and right on the screen. You then have to pick the bet amount that you want to place and this will decide the prize money that you are playing for. The more you bet, the higher the prize money. Like many of the themed bingo games that we see from the world of online bingo, Britain’s Got Talent Bingo plays on a traditional 90-ball bingo board. It has the same prizes as your standard 90 ball – one line, two lines and the full house but if you buy a minimum of six tickets, you get to select three lucky numbers. On occasion, you might get offered a free scratchcard at the end, but that’s only to players who have purchased a minimum of six tickets. Fancy a spin the wheel? Not to be confused with the tombola Roulette, Bingo Roulette is far more appealing; Players are given three options of betting prices (10p, 25p and 50p) and then have the choice of playing one, two, three or four chip colours. When the bingo roulette is in play, the wheel spins, and whichever number the ball lands on, is the number that you have to remove your chip from if you have one on that number. The aim is to remove all of one set of chip colours, eight in total. In early 2017 a new bingo option arrived on the Virtue Fusion network that was themed around one of their most popular slots, Bouncy Balls. There are four Bouncy Balls of your chosen colour entwined in vines and surrounded by 12 numbers. You release the balls as the numbers are marked off. There are three different prizes that can be won; the standard house prize, the Community Jackpot and the Progressive Jackpot. The Bingo Royale room is exclusive to Jackpotjoy and was an homage to Barbara Windsor as the Queen of Bingo. She featured in cartoon form with her trusty little dog and she was also the bingo caller. When Paddy McGuinness took over and the site upgraded to HTML5 major changes were needed. Now we have a cute dog in charge, waited on by a lanky butler. At first glance it’s traditional 90-ball bingo on the Gamesys software until the full house is called. Then there is the possibility of a royal appearance and decreeing that additional numbers are called to create more winners. When it first arrived, Bingo Lotto was exclusively available to mobile and tablet players when it first arrived but can now be played on your desktop too. There are just 49 numbers, as there once was in the Lotto from the National Lottery. 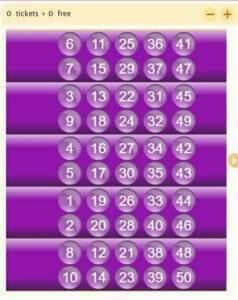 There are chances for four winners and each bingo card features just six numbers. The aim is to match three, four, five or six numbers.As is the case with all traditional bingo, numbers continue to be called until some calls the house, in this case, matches six numbers on their ticket. Bingo Bowl is William Hill’s exclusive take on 50 ball and as the name suggests, instead of bingo tickets, its played using bowling pins. Each of the 10 pins are set in the usual triangular formation of a bowling match and as they are called, they turn yellow. There are three jackpots to be won and each are displayed above your bingo bowling pins.The biggest of the jackpots available is the Lucky Strike and this is the progressive and won when the full house is called in 15 numbers or less. Big Banker Bingo is played in the traditional style of 90-ball bingo but before it starts, you are shown a selection of safes, each one is numbered; as numbers are called, their corresponding safes are opened and the values revealed. There are four prizes to be won – one line, two lines, full house and the Big Banker feature. The latter is available to the full house winner who is offered a deal by the banker. This player has to choose whether to take the amount on offer or to open the remaining safe. 30-Ball Bingo is also known as Speed Bingo and the reason for this is because of how quickly it is over – This is because there are only 30 balls. The bingo cards for 30 ball have just nine numbers on them and the grid is 3 x 3. To win , you simply have to cover all the numbers on the card. 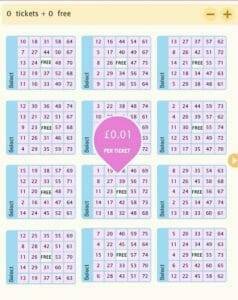 This holds appeal because often the tickets are lower in price than many other types of bingo. Available at Gala Bingo and Coral Bingo, alongside the standard 90 ball there is a separate 90 ball ticket that everyone can see called the Golden Cobbles ticket. When a player calls a full house on a number that appears on that ticket the number turns gold. A win on one of those numbers is worth £5 extra prize money, until you complete a line, two lines or the full house of golden cobble with your winning number. Those prizes are progressive and grow continuously until won. 80-ball bingo first started life in the retail bingo halls and is often referred to as Cashline or Shutterboard. 80 ball in the land-based bingo halls are played in the intervals of the main session based bingo. 80 ball bingo in the world of online play is very similar to that found in the clubs and is played on a 4 x 4 grid. Different brands offer different versions and some offer two chances to win (a line and then the coverall) whilst others will opt just to have the coverall winner. The concept itself isn’t as popular as the more traditional versions of bingo but what it does offer is a bit of variety when you’re bored of 75 or 90 ball. Bingo 50 is not like 50-ball bingo that you will find at some other sites; in fact we like to call it Bubblewrap Bingo! If you love popping bubblewrap, then this is for you! You have four betting options of 25p, 50p, 75p and £1 and when you have chosen, you are given five tickets each with ten numbers on them. Bingo numbers are called in the same way as normal bingo; there are just 50 numbers. Prizes are one line and the full house but there is also another jackpot to be won if you call bingo in 19 numbers of less. Slingo Boomstarted live on social media and is a hybrid of a slot and a 75 ball bingo. 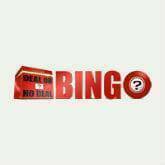 It was brought to the pay to play online bingo world by Gaming Realms and can be enjoyed at their premier site slingo.com. 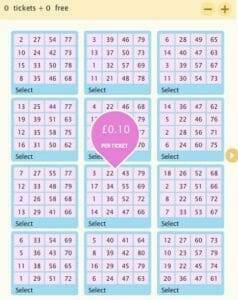 You purchase a 75 ball bingo card in the traditional 5 columns. Instead of one number being called at a time five appear at the foot of the card. However, numbers can be replaced by a joker, a super-joker or a devil. Bingo 60 is exclusive to tombola and it first arrived April 2012. When you enter the room for the first time, the ticket buying options are certainly different to what we have come to expect from our bingo. At the top of the screen you choose your stake value, the default setting is £1. You can see the values of the prizes that correspond with each book option and the associated jackpot. Your stake buys you all five coloured tickets – orange, green, red, purple and blue. 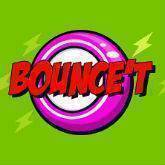 Bounce’T Bingo is the Dragonfish attempt to add a bit of variety to 75 ball. Although it plays through as a normal pattern theme, the difference is that the prize jumps between £10 and £30 for just 10p a ticket. The prize depends on what is shown when you call bingo. Online bingo has come a long way in a short time and is constantly evolving. From the humble 90 ball game to fancy feature games and games licenced an built around popular TV programmes, the possibilities are endless. No matter how long you stay at a bingo site, there is no reason to get bored thanks to the wide variety of bingo games now available and the good news is that the software developers are not finished yet and we are expecting even more varieties of bingo games to hit the sites soon. Be sure to come back and check out the new developments and in the meantime check out some of the huge range of games you can already play below.